Medela Swing Review (2019 Edition) - The Best Medela Breast Pump? You plan to nurse your baby whenever possible, and you’ll be staying home with him instead of returning to work. But you still want a pump for occasional use to stockpile milk if you decide you want a mom’s day away to catch up on who you used to be before you brought life into this world. Shouldering the expense of a double electric pump seems like a waste since you won’t be pumping every day. You’re looking at a single electric pump instead. This Medela Swing breast pump review will help you decide if this unit is right for you. 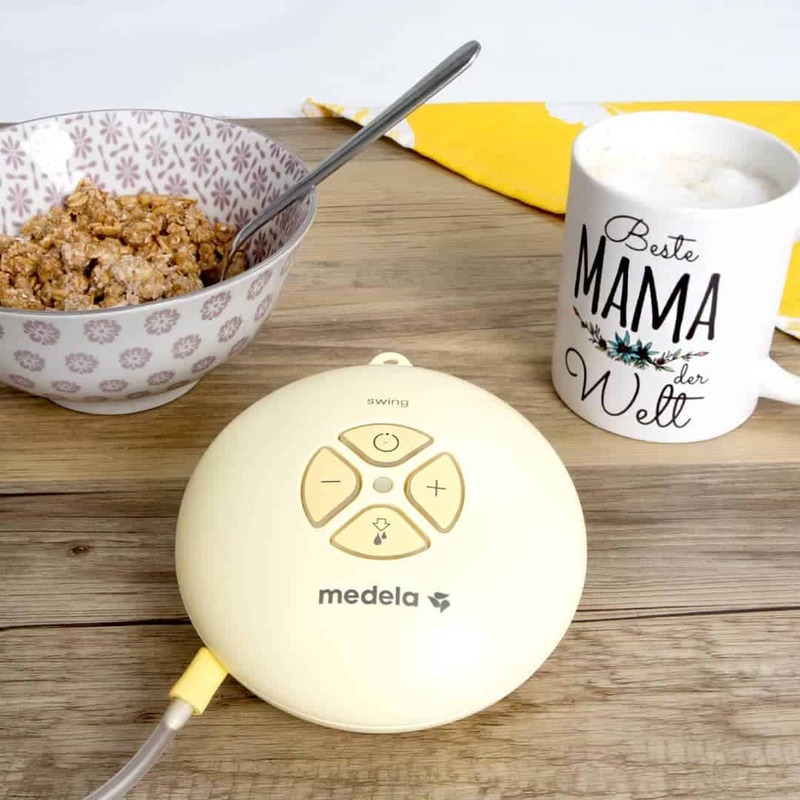 The Medela Swing single electric breast pump offers moms who only want to pump once in awhile an affordable alternative to a double electric pump. Can be used with batteries or a power cord. Costs more than some moms will want to spend on a single electric pump. Not as powerful as double electric Medela pumps. There’s probably no busier segment of the population than moms. We’re constantly doing something and we spend a lot of our time on the road, in grocery stores, at playdates, at work, or going to yet another doctor’s appointment. We need pumps we can stick in our purse and take with us when we seem to be sprinting from one place to another, and this unit fits that bill. Time savers are appreciated by moms everywhere. As a mom, there are a lot of times when you would like to freeze time just to preserve the moment you’re in. Pumping your breasts isn’t one of those times. It’s a task you want to get over as quickly as possible. Moms will take any help we can get in keeping ourselves organized and preventing us from losing things. There’s so much stuff you need to raise your child that it can get a bit overwhelming sometimes keeping track of it all. We appreciate little things like this drawstring bag that will stop us from misplacing stuff. Using a power cord is a nice option because it saves you the added expense of buying batteries. But it’s also good to have that battery option if you find yourself pumping while you’re on the road or when you don’t want to have to sit within a couple feet of an outlet. Women aren’t all built the same. What feels comfortable to one woman can feel painful to another. That’s why having the ability to control the settings on a pump is so important. You’ll be able to find the setting that works best for you, and you won’t feel like your only solution to being pain free is ditching breastfeeding. While this pump has a lot of great features, the volume of it isn’t one. It’s not super loud, but it definitely won’t give you a discreet pumping experience if you are using it for a workplace pump. You’ll want to find a place where you won’t distract everyone if you plan on using it away from home, or you can pop into the car and use it there, thanks to the battery capability. The Spectra S1 should appeal to moms who want some peace and quiet while they’re pumping. It’s a quieter pump than the Swing. But moms who want a single pump instead of messing with a double pump will prefer the Swing. Women who want to use their breast pumps while their clothes are still on will want to consider the Freemie Freedom double electric breast pump. But those who want to express milk quickly will appreciate the Medela Swing. Moms who want a double electric pump for the price of a single pump may want to check out the NUK Expressive double breast pump. But moms who are more worried about powerful suction than saving dollar bills may want to stick with the Swing. Moms who will need to keep their milk cold when they pump away from home may want to consider the Medela Freestyle which comes with a cooler to keep milk cold. But moms who plan to do most of their occasional pumping at home may be better served by the Swing. Lansinoh’s double electric breast pump might appeal to moms who are worried about milk backing up into the tubing. But the Swing may appeal to moms who don’t have an issue with cleaning tubes occasionally. 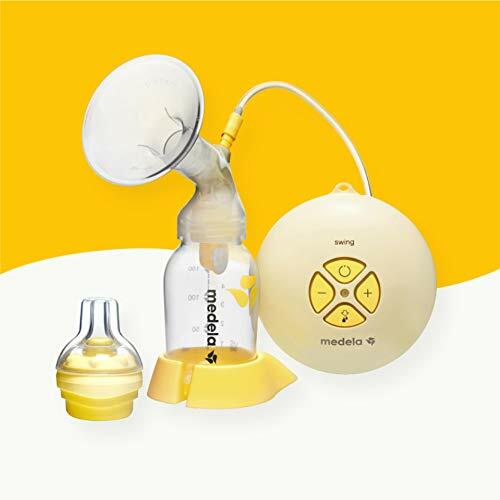 If you only plan to pump occasionally, there’s no need to spend a lot of money buying a double electric breast pump when you can get by with a less expensive unit. The Medela Swing offers portability, ease of use and gives you the option of using batteries or a power cord. You’ll also get the same freedom of controlling the setting like you will with a double electric pump. It will be enough to keep your baby supplied with breast milk while you can’t be there with her.